According to the newly released rankings by U.S. News & World Report, the University of Montevallo now ranks 13th on the regional south listing for Great Schools, Great Prices, which measures the value of education received. For the majority of prospective college students and their families, cost is a major factor in determining which schools are viable options. Knowing which schools are best buys – which colleges provide students receiving financial aid with the highest quality education for the lowest price – is imperative. To help provide that information, U.S. News surveys colleges and universities each year and ranks nearly 1,400 of them in different categories according to their methodology. The calculation used takes into account a school’s academic quality and the net cost of attendance for a student who received the average level of need-based financial aid. The higher the quality of the program and the lower the cost, the better the deal. “At a time when students and families are rightfully focused on the value of a college degree, the Montevallo family is proud that we are ranked at such a high level in U.S. News’ Great Schools, Great Prices,” said Dr. John W. Stewart III, president of the University of Montevallo. The University also continues to rank as the 13th Best Public Regional University in the South, marking it as the highest ranked public regional-level university in the state. Each year, UM is compared alongside several schools across 12 southern states. Despite the competition, UM manages impressive accolades in the publication’s annual evaluations. “We take very seriously our roles as stewards of public funds and our students’ investment in their education and are pleased to be recognized for the extraordinary value of a UM degree,” said Stewart. 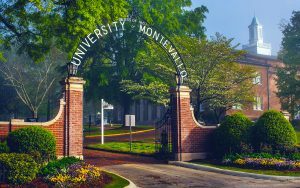 Overall, Montevallo is ranked the 38th Best Regional University in the South, which includes public and private institutions. To learn more, visit U.S. News & World Report.